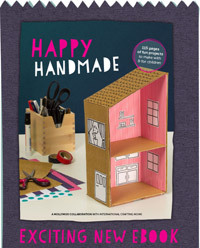 This Christmas I'm making lots (and lots!) of geometric ornaments. At least, that's the plan. At this moment, I have about a dozen done, and a whole tree's worth still left to make. There's a chance that I'm certifiable, and yet, it's one of my favorite December traditions. 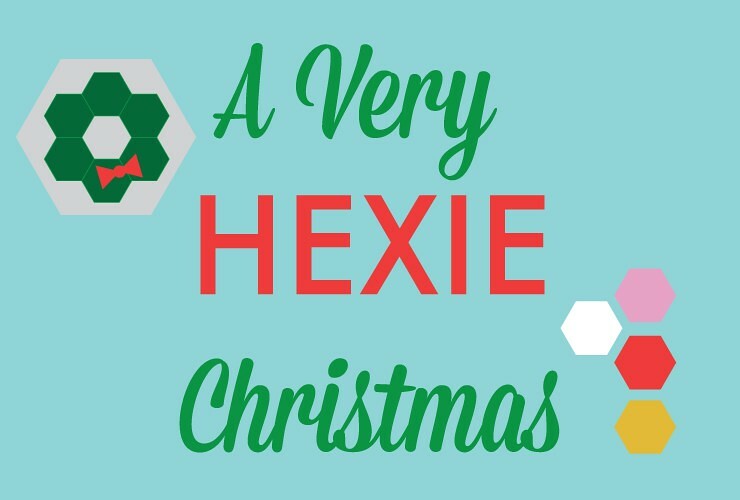 At the same time that I started planning all the making I'll be doing, my friend Becca started planning what she's calling A Very Hexie Christmas. How could I resist this? 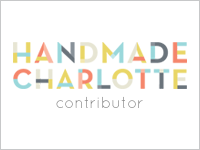 You can find her first post over at Hugs are Fun, and be watching for more hexagon projects too. I've seen a bit of what's coming, and it's wonderful! So as I worked out the designs for my own Christmas tree, I HAD to work in some hexagons. 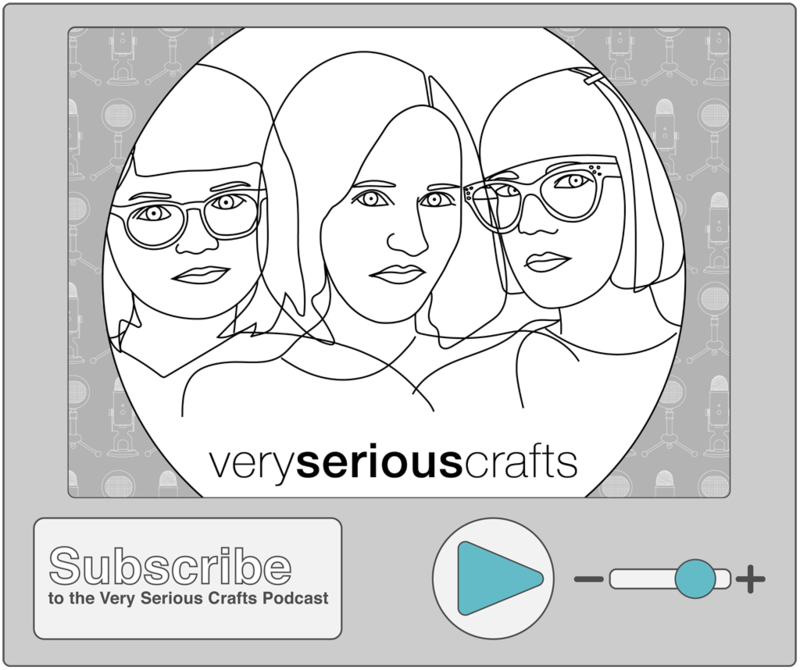 For Becca's series and for me, because Hexagons! 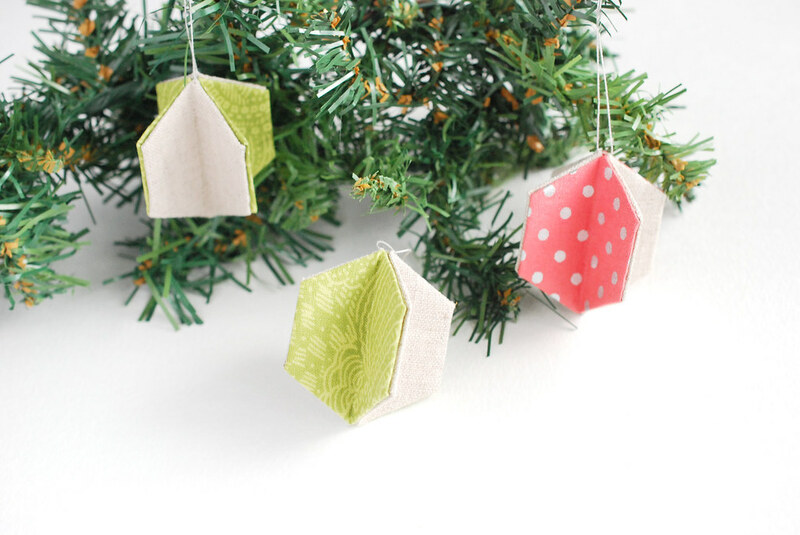 This simple ornament is based on paper circle ornaments. 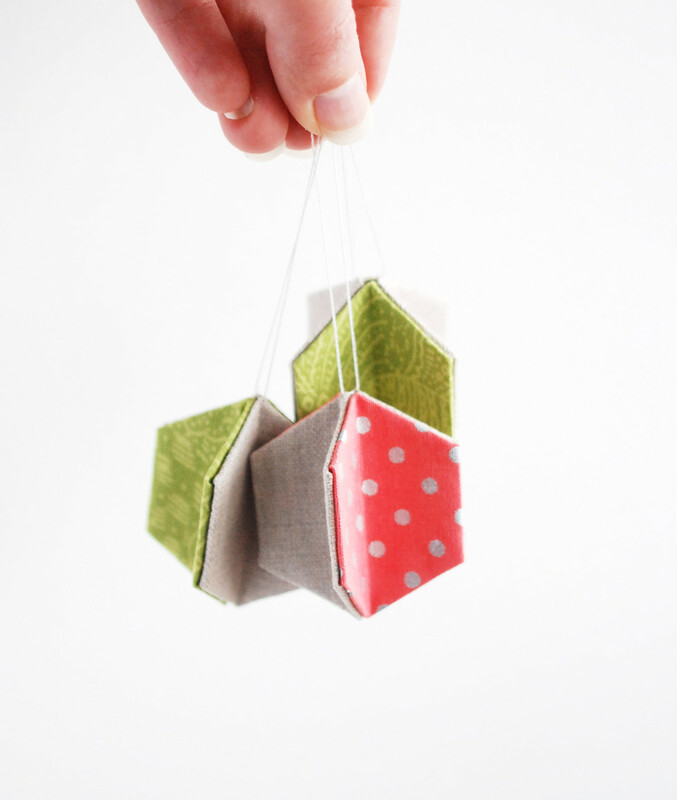 It uses a few basted hexagons and then is glued together, so they're quick and easy. Fold the hexagons in half, on point, right sides together. Leave the papers inside the hexagons. 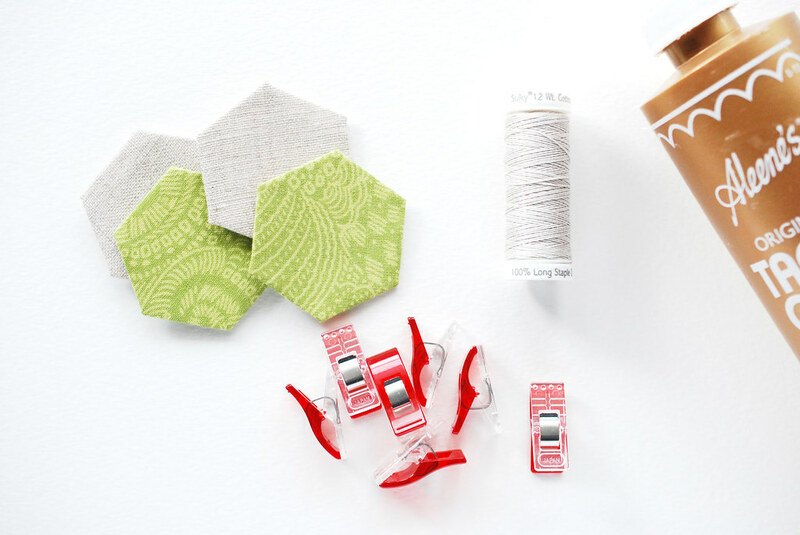 Run a line of glue along one half of a hexagon and attach a second hexagon to it. Repeat with the other two hexagons. 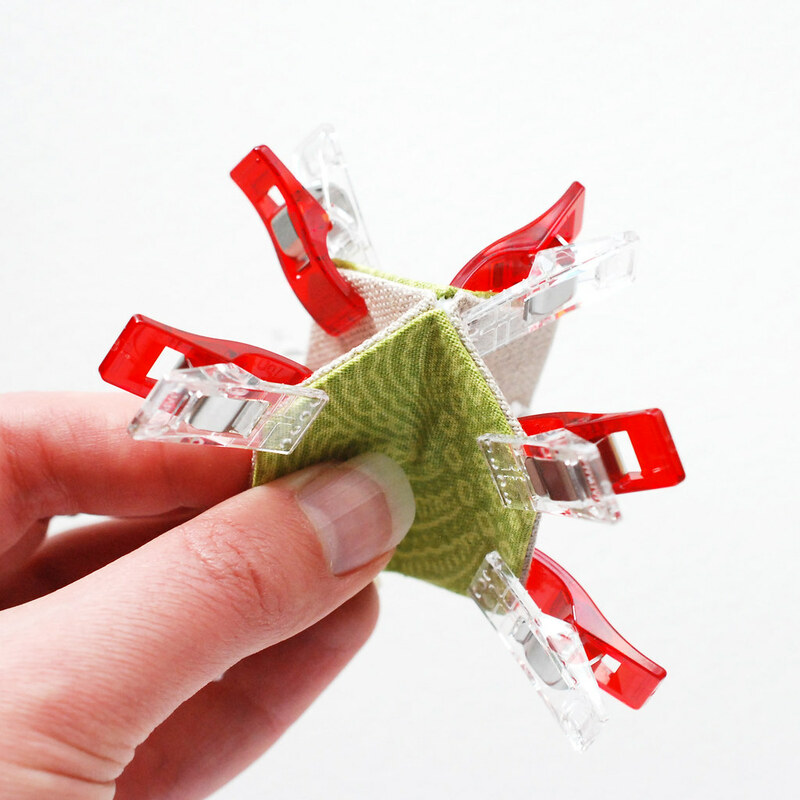 Hold the pieces together with clips. This part is optional (I made one without the clips), but I found it very helpful to keep the pieces tight as the glue dries. You could probably use hot glue instead and also skip the clips. Join the two halves together in the same way. With all these clips, I kinda thought I had designed a whole new snowflakey sort of ornament! Or Sputnik! 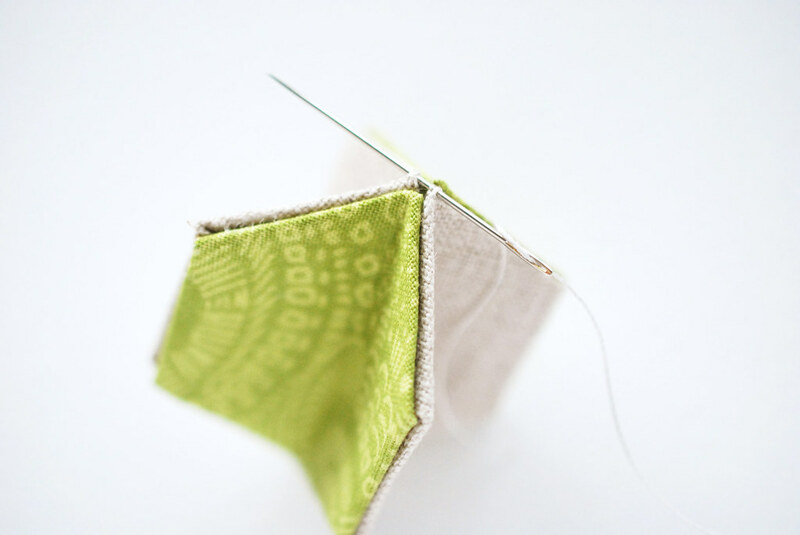 When the glue has dried, cut a six-inch piece of string or thread and thread the needle. 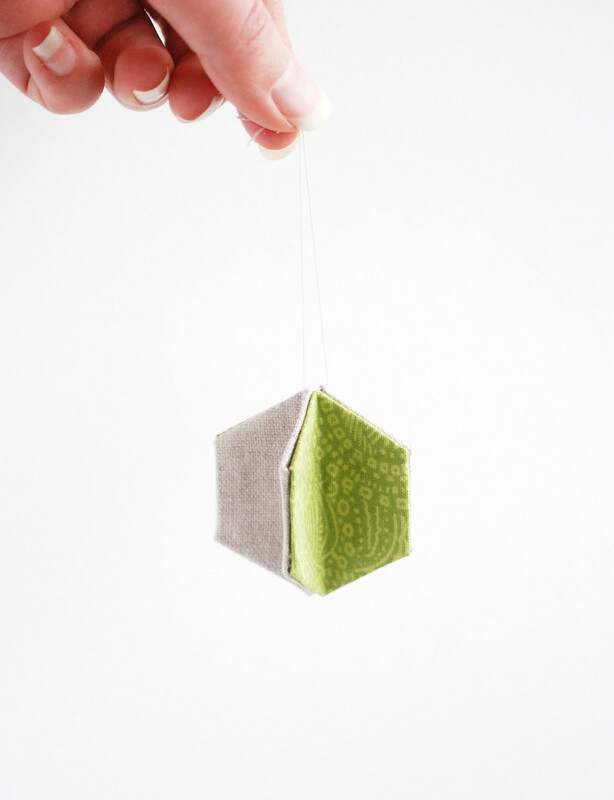 Slide the needle through two opposite points on the ornament and tie the ends to form a loop for hanging. Hey! It's an ornament! Hey! It's three ornaments! The basting part of this is taking the longest for me because I'm making all new hexies so they all match (I'm aiming for at least 20 of these!). 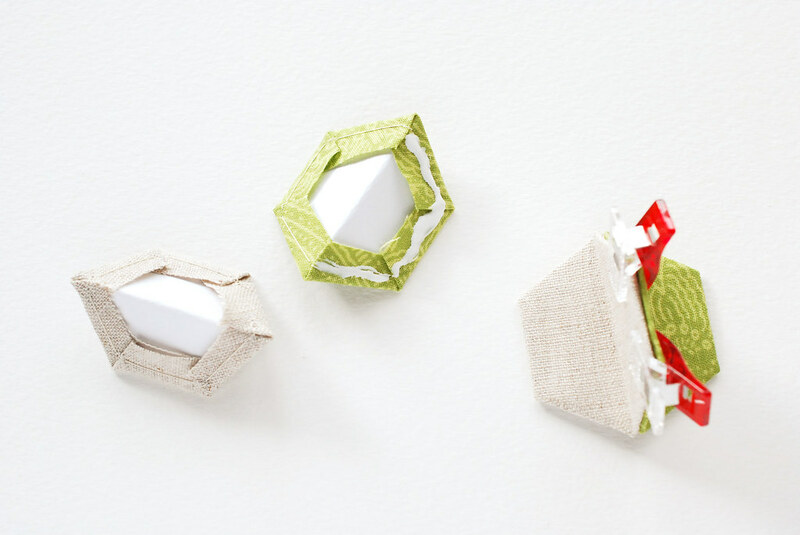 But if you work from a stash of pre-basted hexagons, you'll be putting ornaments together in no time! Use one, two, or four different fabrics. You could add more embellishments like sequins, buttons, or other trims too. 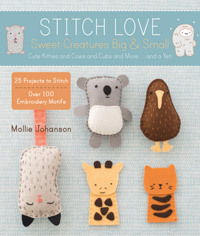 I think they'd also make great gift toppers! Now go make some ornaments! And when you do, tag them with #averyhexiechristmas on Instagram! 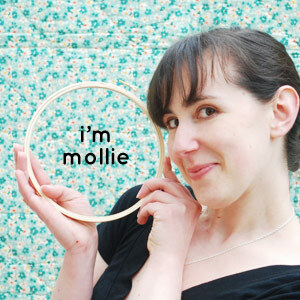 Mollie these are so simple and cute, they're the perfect addition to any tree! Ack! I have so many leftovers....odds and ends....brilliant idea! Thanks!! A cute idea to use that little bit of extra fabric that's too big to throw away, too small to do much with... and it looks great! Oh boy. I've never encountered that before, other than when my printer just goes crazy. Maybe try turning the printer off, waiting about 10 seconds, then turn it on again. That's my best tech support advice! 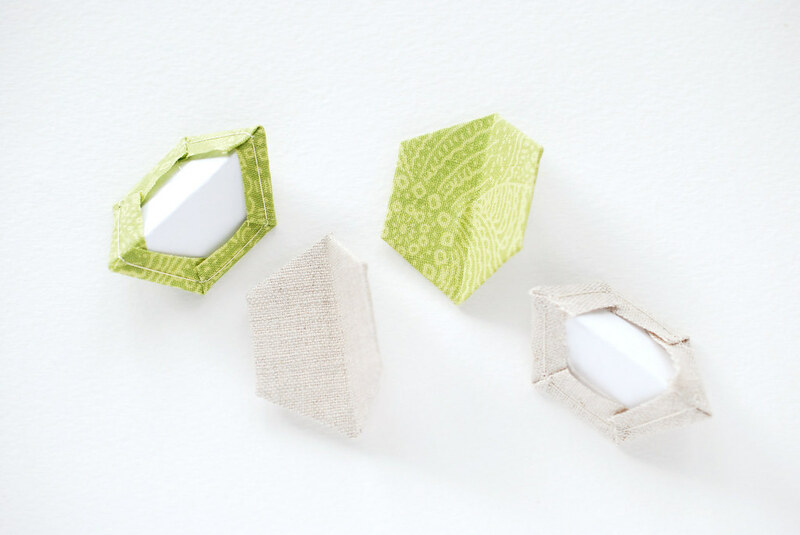 Otherwise, you should be able to find other printable hexagon templates online with a quick Google search. I love these! How do you baste your hexies so you can't see the thread on the front?